Clarence house is situated in a place designated as an area of outstanding natural beauty, step outside our door and you will find many breathtaking walks along the coastal path. Across Ventnor downs or in the award winning Ventnor park which lies just across leafy Park Avenue. 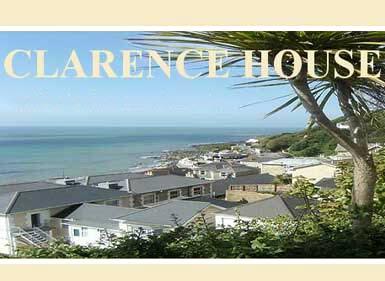 5 minutes walk away is Ventnor town centre. Recent additions to the town are a fantastic tapas bar and a brand new beach side bar and grill. Many local shops can be found in the high street including a butchers and greengrocers selling local Island produce. There is also a supermarket and a cash point. Park Avenue is on the local bus network and all parks of the Island can be easily accessed. We also have a laundry service and bake fresh bread daily for a small charge. The Parking is on road however there are no parking restrictions.